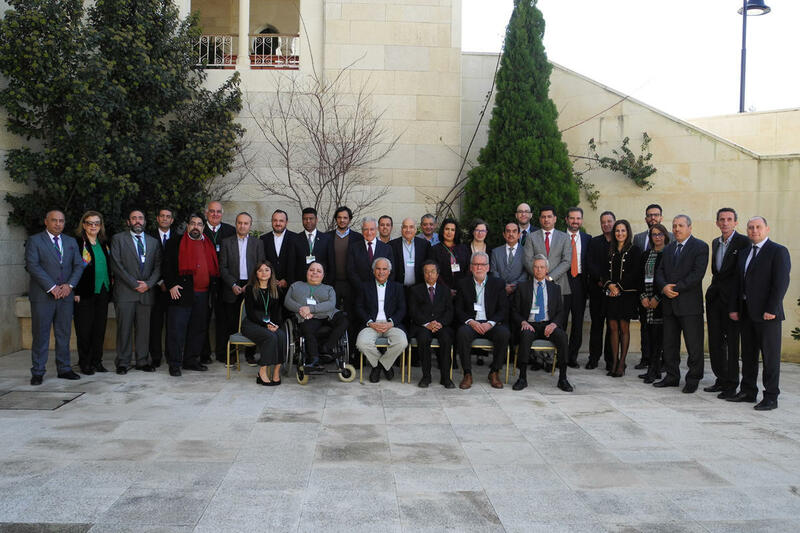 The Department of Social Sciences organizes an international conference to tackle the role of electoral management bodies in Lebanon and the region. The two-day conference brought together experts and politicians from Lebanon, the MENA region, Mexico and the Netherlands. The participants photographed with Dr. Jabbra and LAU faculty on Byblos campus. In 2018, several Arab countries, including Lebanon, held parliamentary and municipal elections, some of which were marred by controversy over the integrity – or lack thereof – of their electoral processes. Now, as Lebanon finally forms its cabinet months after its own parliamentary election, the Department of Social Sciences held a two-day conference in Byblos’ Frem Civic Center on the role Electoral Management Bodies (EMB) play in ensuring the integrity of electoral processes in the Arab world. The conference, organized in collaboration with the Arab Network for Democratic Elections (ANDE) and the Lebanese Association for Democratic Elections (LADE), brought together experts and politicians from Lebanon, Iraq, Egypt, Libya, Bahrain, Yemen, Palestine, Jordan, Morocco, Mexico, Tunisia, and the Netherlands. “The topic of the conference is one of the most important when it comes to elections, because you cannot have free and fair elections without the application of the proper monitoring and management methods,” said Chairman of the Department of Social Sciences and conference organizer Dr. Marwan Rowayheb. “The significance of such conferences are the recommendations that can contribute to the democratization of the region,” he added. In his opening speech, LAU President Joseph G. Jabbra underlined the importance of the rule of law in the advancement of civilization in any society. The keynote speaker, Tunisian human rights activist Dr. Kemal Jendoubi, who is also the former head of Tunisia’s independent Higher Authority for Elections, shared his experiences in monitoring his country’s electoral process. Tunisia held its first free municipal elections in May 2018. In an interview, Dr. Jendoubi said that while each Arab country has its unique political composition and security challenges, there is always common ground with neighboring states’ electoral processes, regardless of their context. “Such conferences help us to understand this minimum, and we can benefit by being exposed to the experiences of others,” he said, adding that while some challenges might appear secondary for some countries, they could have immense political dimensions for those experiencing them. Over two days, participants addressed all aspects of elections, from legal frameworks to public trust, from international norms to the challenges that come with technological advancements. ANDE General Director Ziad Abdel Samad noted the importance of such discussions ahead of legislative elections set to take place this year in Qatar, the UAE and Oman. 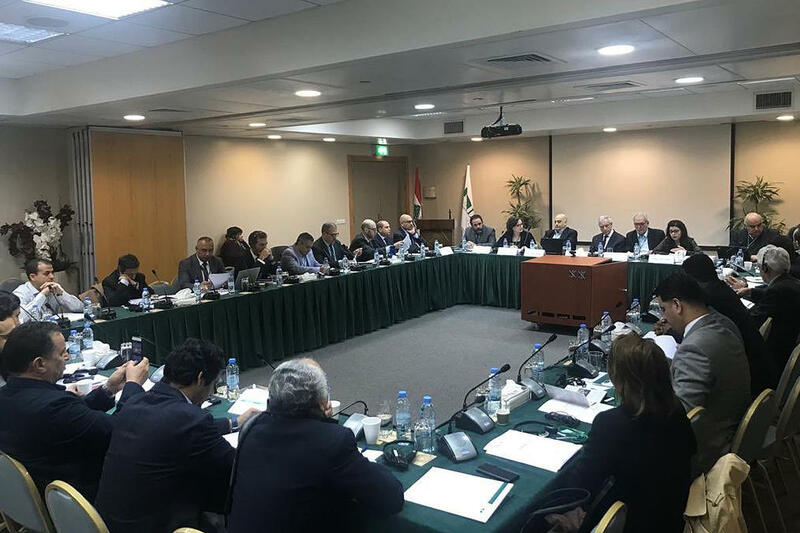 For her part, LADE Secretary General Yara Nassar stressed the need to work toward ensuring that the committee monitoring the elections in Lebanon becomes a permanent body. The conference concluded with a list of preliminary recommendations to be followed up with a final document. Finally, members of the conference stressed the need to consolidate the public’s trust in EMBs as an essential factor in building confidence in the electoral process and, consequently, electoral outcomes.